Discovering Jesus: Why Four Gospels to Portray One Person? If asked how Matthew’s Gospel differs from Luke’s, or what aspects of Jesus’ personhood and ministry the Gospel of Mark focuses on compared to those of John, how would you answer? 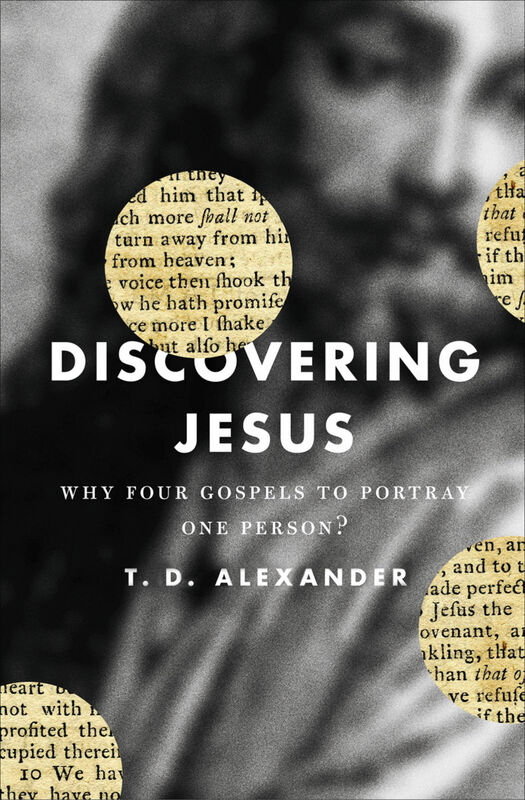 In Discovering Jesus, T. D. Alexander sets out to help readers understand how each Gospel account is uniquely written and why all four are important for having a rich picture of the person of Jesus Christ. Alexander guides readers to see how the Gospels display Jesus as the Son of David who establishes the kingdom of God, the Son of God who suffers to ransom others, the Savior of the world who seeks the lost, and the Lamb of God who brings eternal life through a new exodus. Each chapter ends with discussion questions for individual or group study. T. Desmond Alexander (PhD, The Queen’s University of Belfast) is senior lecturer in biblical studies and director of postgraduate studies at Union Theological College in Belfast. Alexander is the chairman of the Tyndale Fellowship for Biblical and Theological Research, served as coeditor of The New Dictionary of Biblical Theology, and has written many volumes in the area of biblical theology. T. D. is married to Anne, and they have two adult children.